Hello and Happy Friday! I am so happy to be able to share these adorable cards with you today. 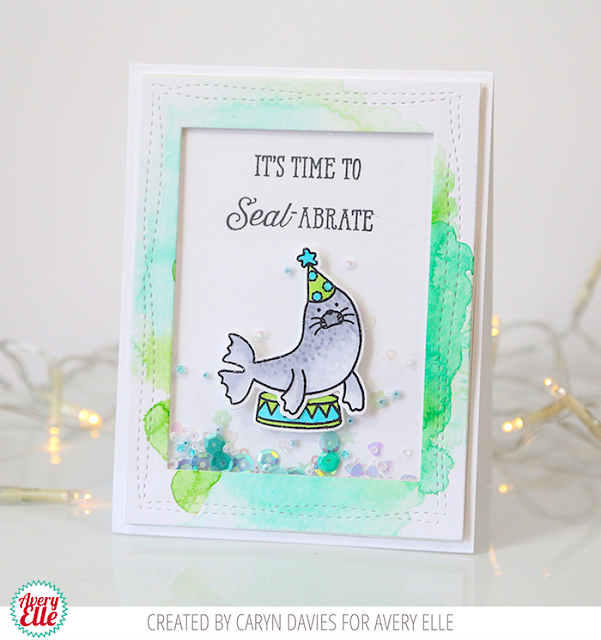 Katie used our Seal-abrate stamps and dies, our Burst Die Elle-ments and Sea Glass ink to create this first card. I love the way she created the red and white striped frame. 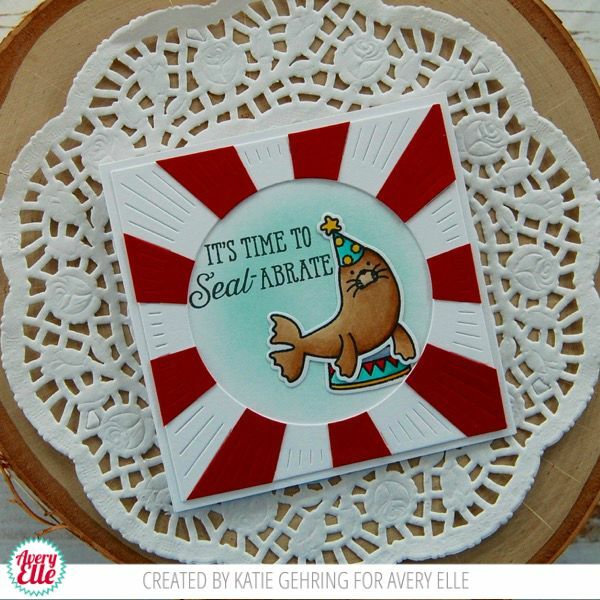 It is SO cute and is a great way to highlight that cute seal! Karolyn used our Bring On The Cake stamps and dies , Double Pierced Rectangles Elle-Ments dies and Double Pierced Circles Elle-Ments dies to create this next card. I love how fun and bright this card is!! It is fantastic! Thanks Katie and Karolyn for sharing today! You are THE best! Thank YOU for stopping by to take a peek. Have a great day! Hello! I have three terrific cards to share with you today! 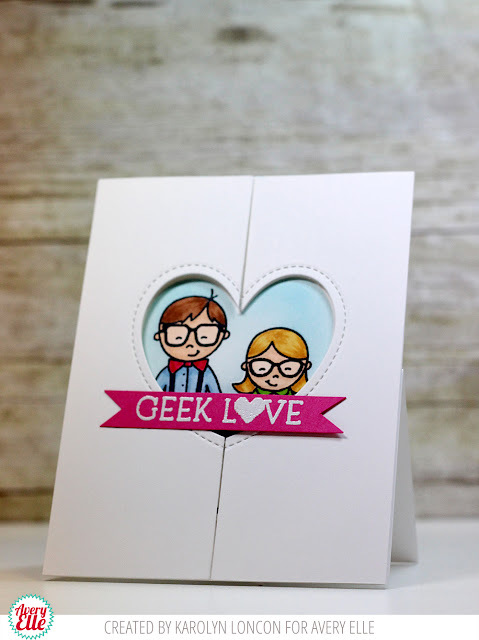 Heather created this first card using our Geek Love stamp set, Wonky Stitches Elle-ments dies, Custom Panels dies (for the hill) and a Caribbean A2 Note Card. I love how cute this couple is! Heather shows how easy it is to customize them to create all sorts of different looks! 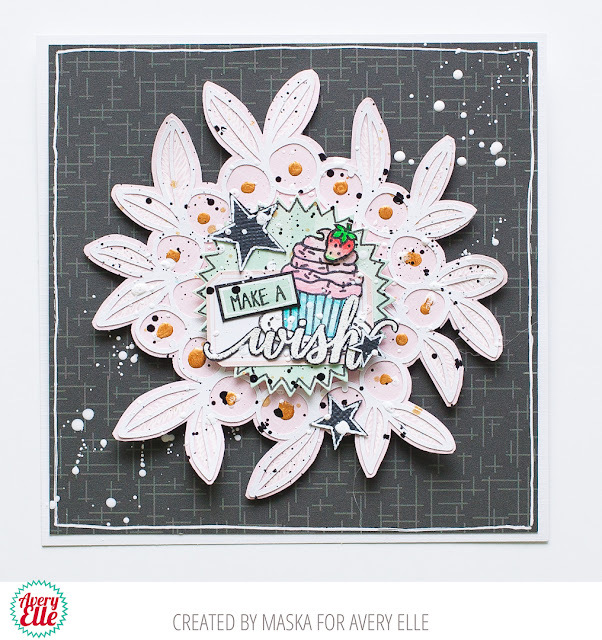 JJ used our Stay Fresh stamp and die set to create this next card. 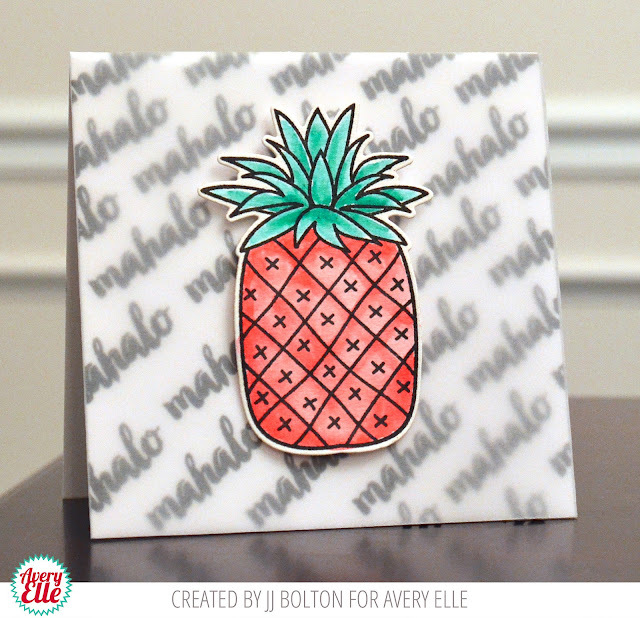 I love the way she stamped mahalo repeatedly to create her own custom background. 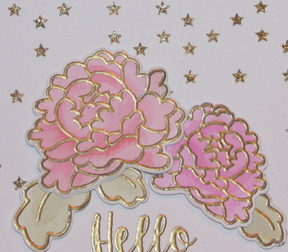 Adding a vellum layer creates such a soft and pretty look. 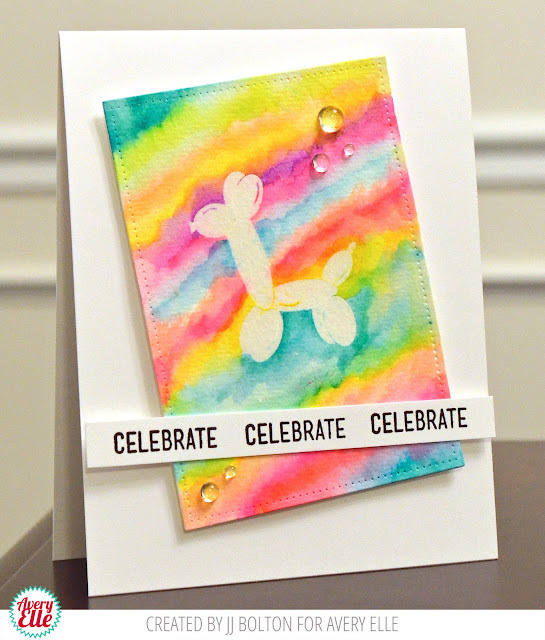 JJ used our Balloon Giraffe stamp set and Double Pierced Rectangle die to create this last card. I love the way the white balloon giraffe pops off of the rainbow watercolor background. So fun! Thanks Heather and JJ for sharing today. You guys are awesome! Thank YOU for stopping by to take a peek. Have a great day! Hello! 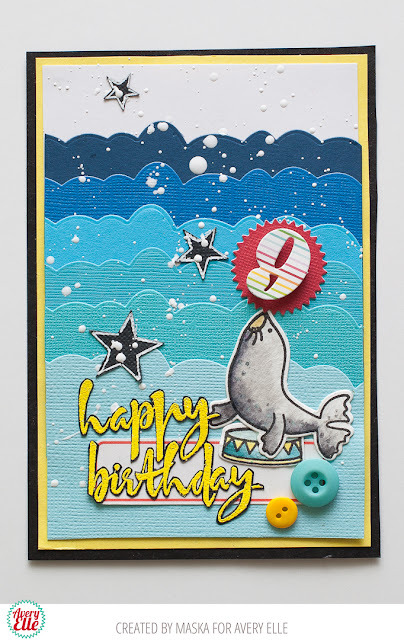 I have a fantastic card by Maska to share with you today. 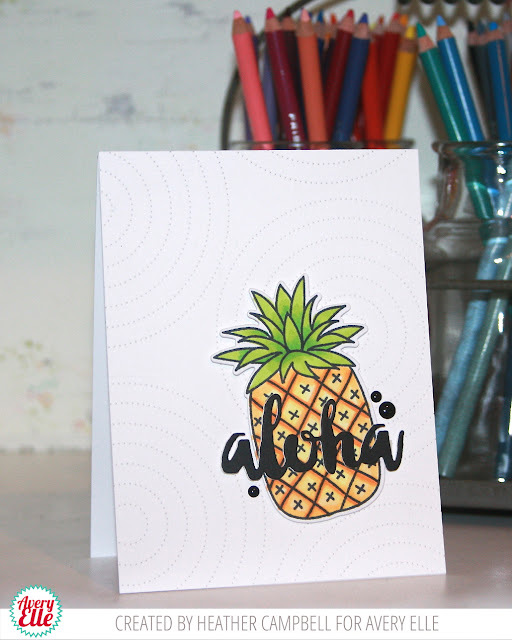 She used our Seal-abrate and Brushed stamp sets along with our Swim Team dies, Avery Elle Signature Dies, Count On It dies and patterned paper from our Everyday Collection to create this cute birthday greeting. I just love the way the cute seal is balancing a number on his nose and that ombré background is so great! Our friends at Paper Crafter's Library are spotlighting this fun project and have a give-away for you today. Here is a little sneak peek of what you will find over on the Paper Crafter's Library blog. Be sure to check out all the details here. Thanks Maska for sharing today. Thank YOU for stopping by to take a peek. Have a great day! Hello! I have this amazing card by Melania to share with you today. I absolutely love the colors and shading that she created for our Tweet Tweet birds! It is just stunning! Thanks Melania for the gorgeous inspiration today! Thank YOU for stopping by to take a peek. Have a great day! Happy Monday! 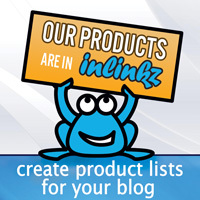 I have some projects to share that are sure to inspire you! Caryn created this card using our Simply Said Amazing stamps and dies, our Scalloped Frames dies, the turtle from our Swim Team stamp set and a Lucky Note Card. I love how simple yet striking this is! Yainea used our Balloon Giraffe stamp and die set along with our Gift Tags stamp and dies and pigment ink pads to create these festive birthday tags. 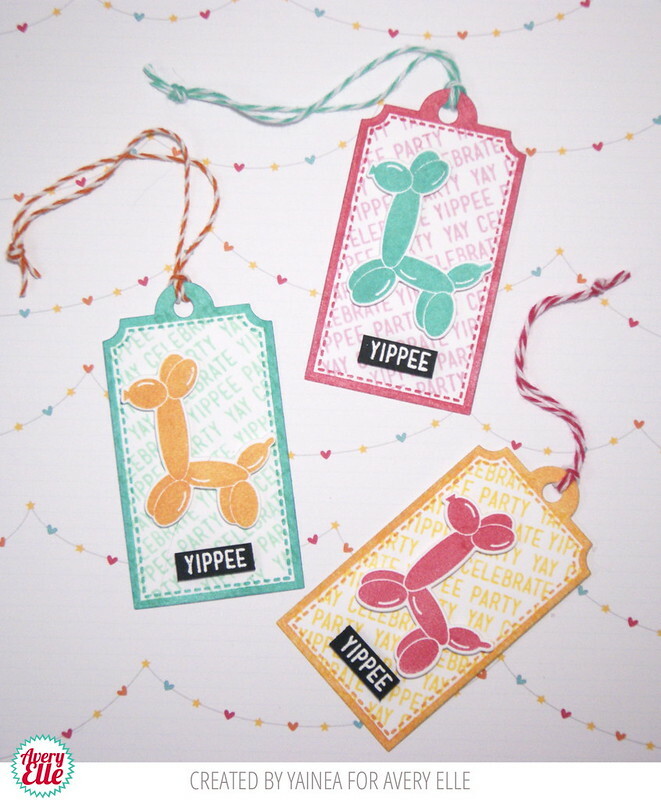 By making a batch of these colorful tags ahead of time she can pop them on a gift bag and will be all set. I love that! Happy Friday! I have some cute cards to share with you today. 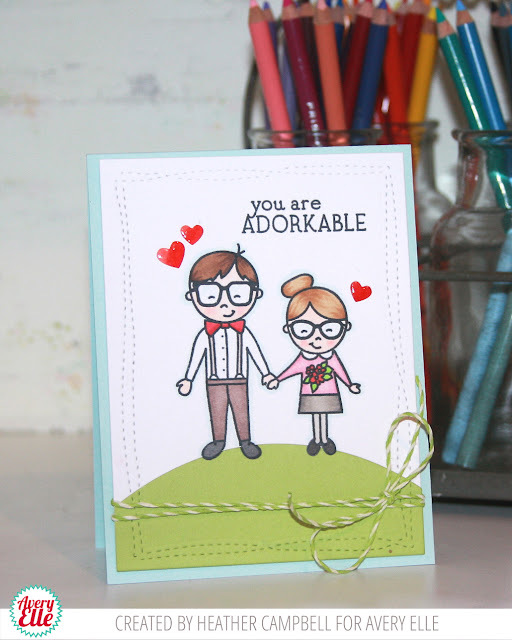 Katie used our Geek Love stamps and dies to create this first card. 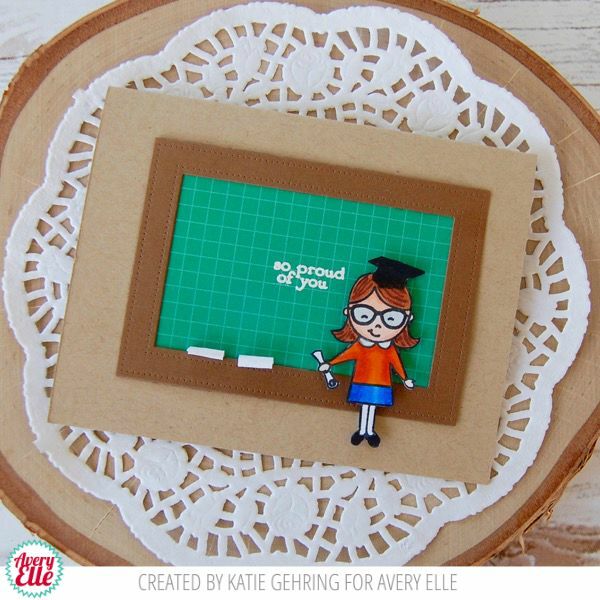 I love how she stamped the cap from our Swim Team stamp set and used patterned paper from our Happy Collection paper pad and our Double Pierced Rectangle Elle-ments dies to create the chalkboard frame. This is so clever. I love it! 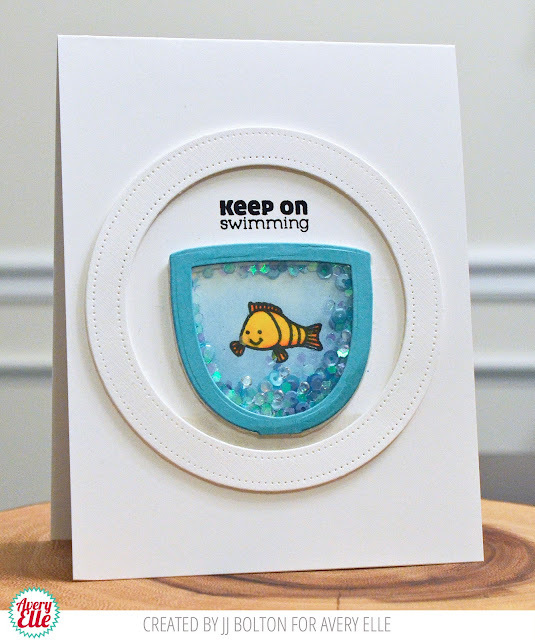 Karolyn used our Swim Team stamps and dies, Double Pierced Circles and Double Pierced Rectangles dies to create this next card. I love the little fish bowl that Karolyn created. It is so cute and really pops off of the white card! Thanks Katie and Karolyn for sharing. Thank YOU for stopping by to take a peek. Have a great weekend! Hello! I have a great card for you today. 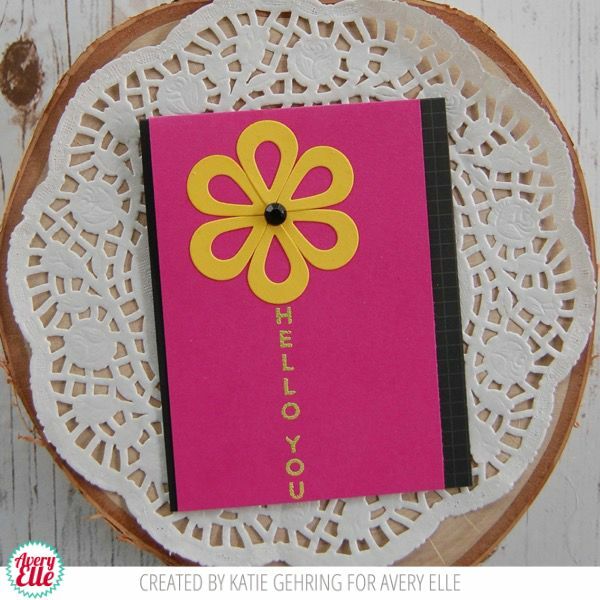 Heather created this card using our Petal Panel stamps, Petal Plate dies and our Petal Plate Additions dies. I love the modern and graphic look she was able to achieve! It is so pretty! Hello! 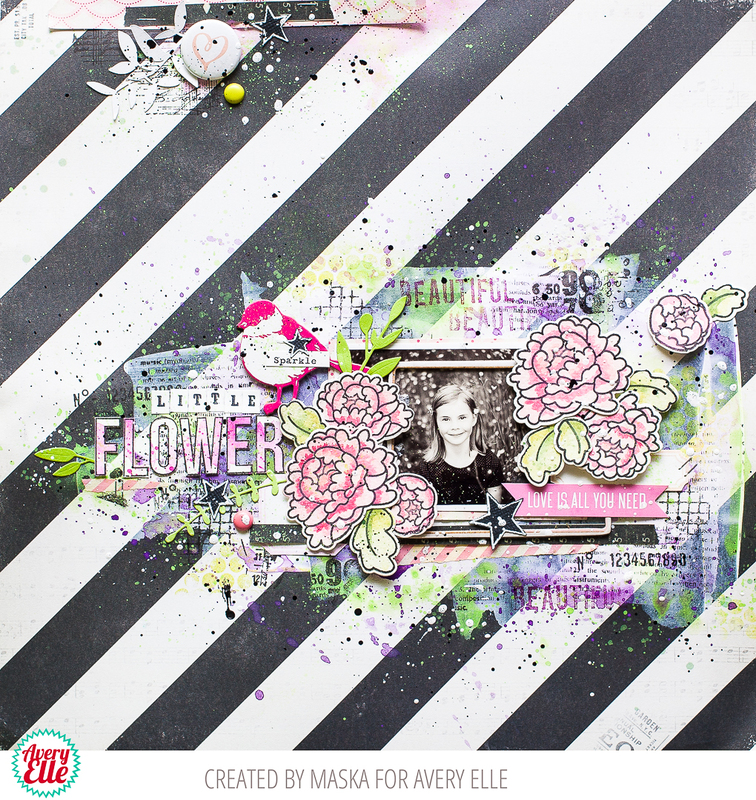 I have a fantastic layout by Maska to share with you today! I love how she framed the picture with flowers from our Peonies stamp and die set. The black, white, pink and green look fabulous together! Hello! I have a fantastic card by Melania to share with you today. 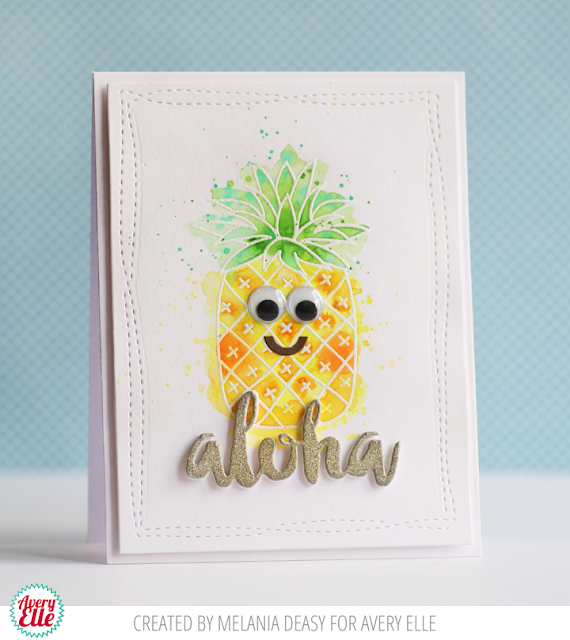 The water coloring is so pretty and I just love the face Melania added to cute little pineapple! What a clever idea! Happy Monday! I have two cute cards to share with you. 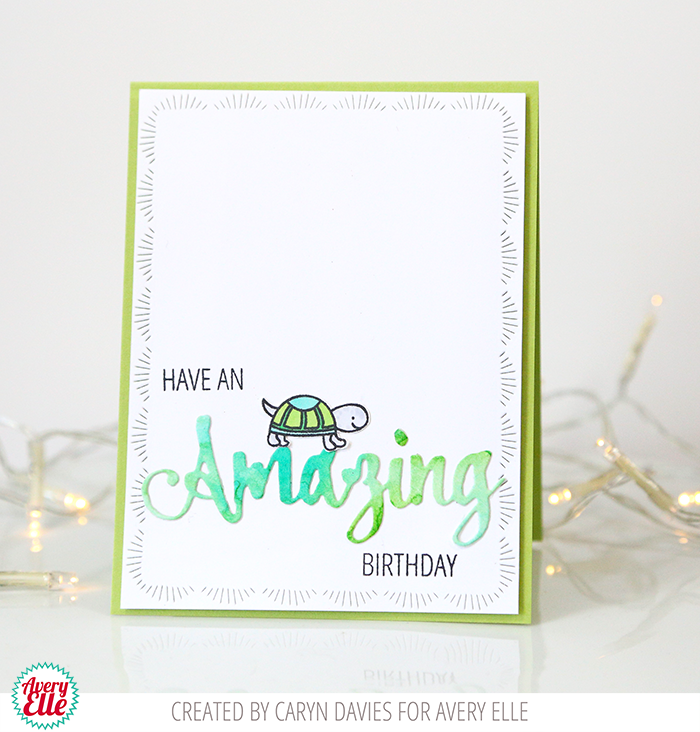 Caryn used our Seal-abrate stamp and die set along with our Wonky Stitches die set to create this first card. 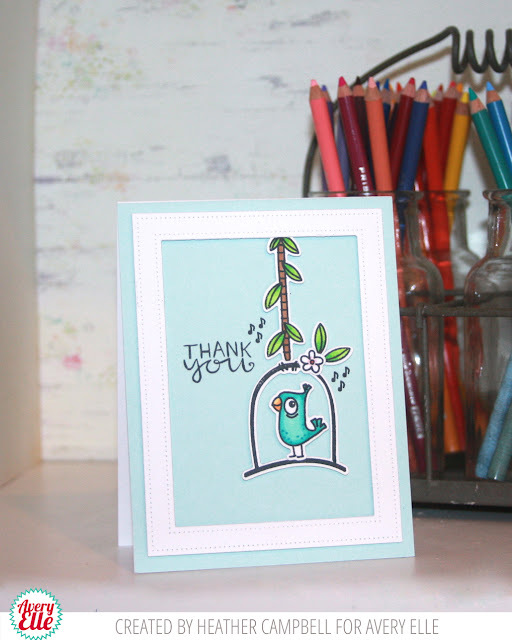 I just love this cute watercolor seal shaker card! Yainea used our Little Minds stamp set and our Happy Collection Paper Pad to create this next card. 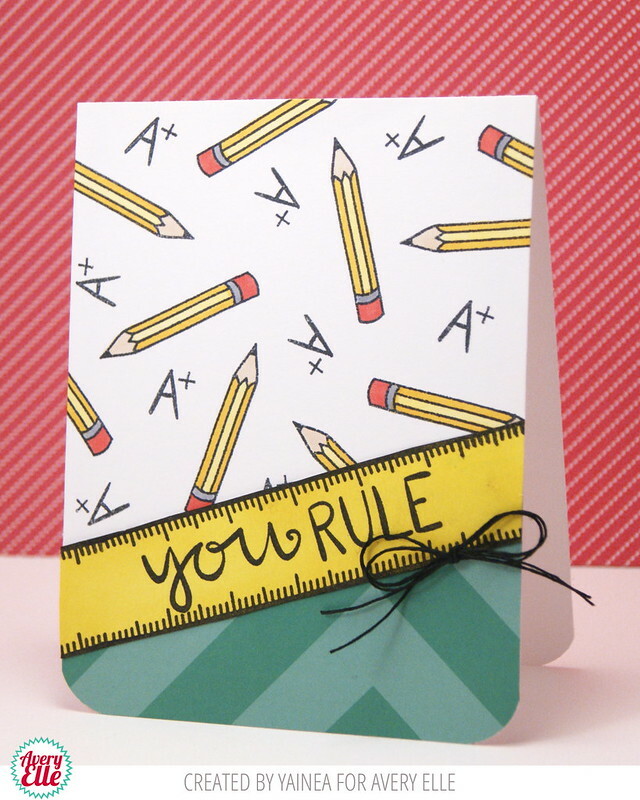 I love how she created her own custom background and used the ruler as a border! I have some adorable creations to share with you today. 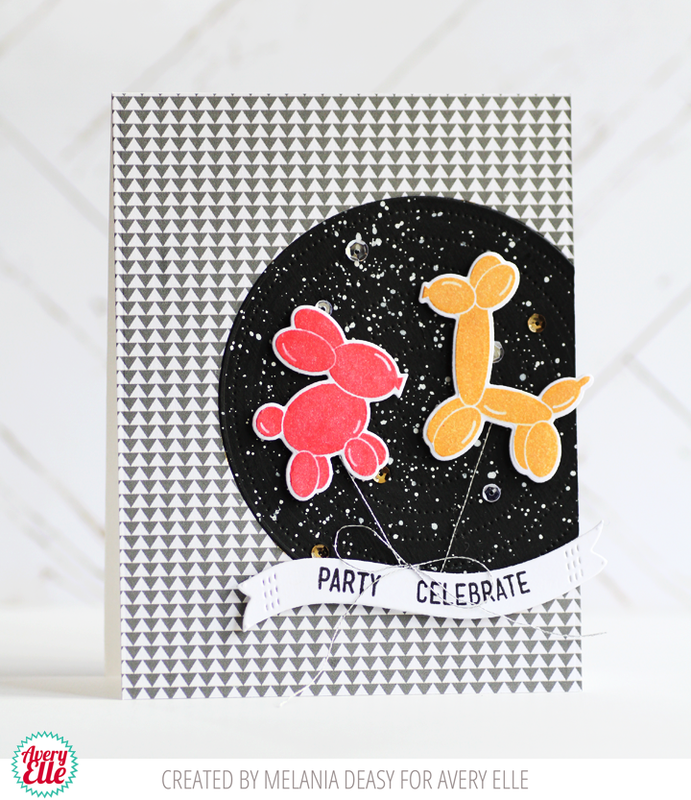 Katie used our Petal Panel stamps, Petal Plate Additions Dies, patterned paper from our Neutral Collection and an A2 note card from our Midnight Collection to create this first bold and graphic card. I love how she used the sentiment as a stem. So creative! Katie used our Handwritten Notes stamps, Petal Plate Additions dies, Finished Frames dies and Caribbean Collection note card to create this second card. I love the idea of using the Petal Plate Additions die as a geo tag along with the missing you sentiment! 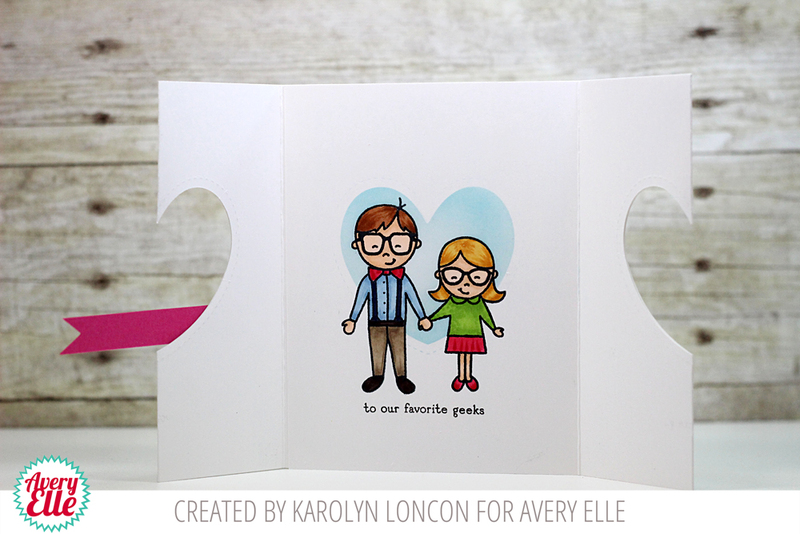 Karolyn used our Geek Love stamps and dies to create this fun card that opens down the center. I love how cute this is!! I can see using this same card design and stamping other images inside that heart die cut as well. What a genius idea! 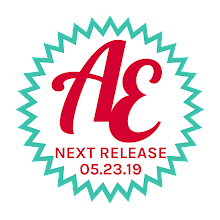 Today I have some fun things to share. 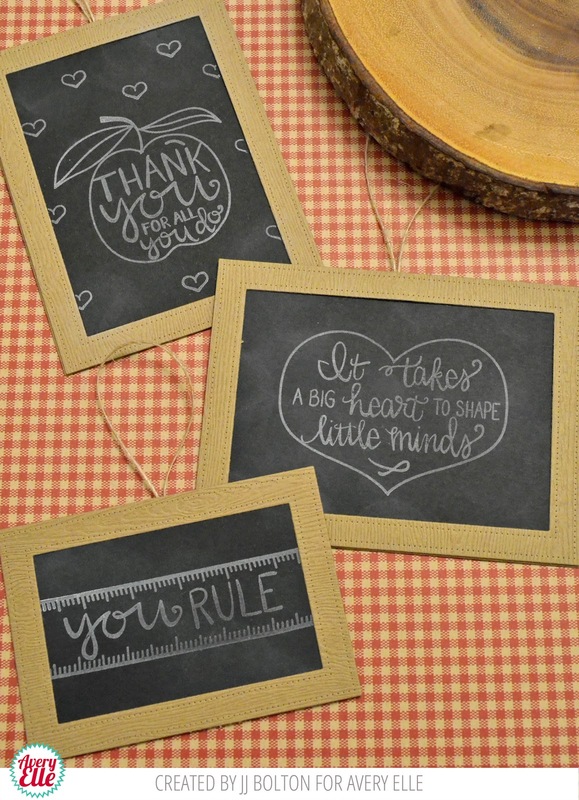 JJ used our Little Minds stamps and Double Pierced Rectangles dies to create these fun chalkboard tags. I love how cute they are! They would look so perfect tied to a back to school teacher gift! Heather created these next two cards using our Tweet Tweet stamps and dies, Wonky Stitches die and Double Pierced Rectangle dies. I love how she was able to create two totally different looks. They are both adorable! I love them! Hello! 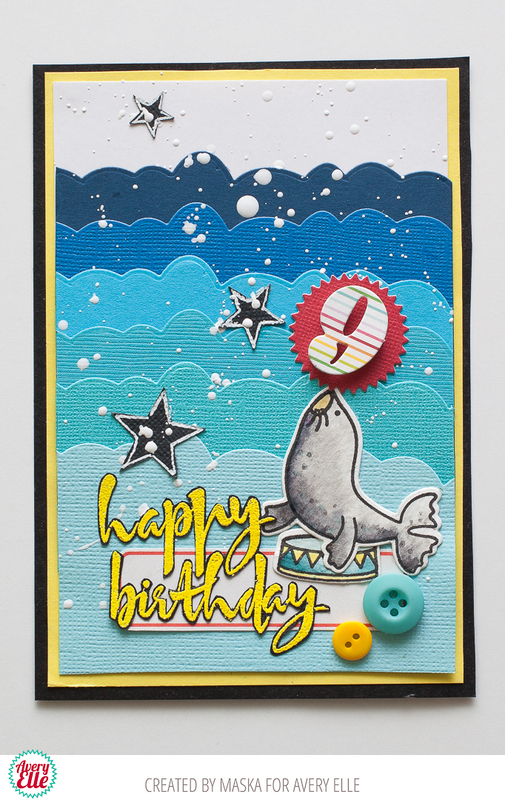 I have a fantastic card by Maska to share with you today! 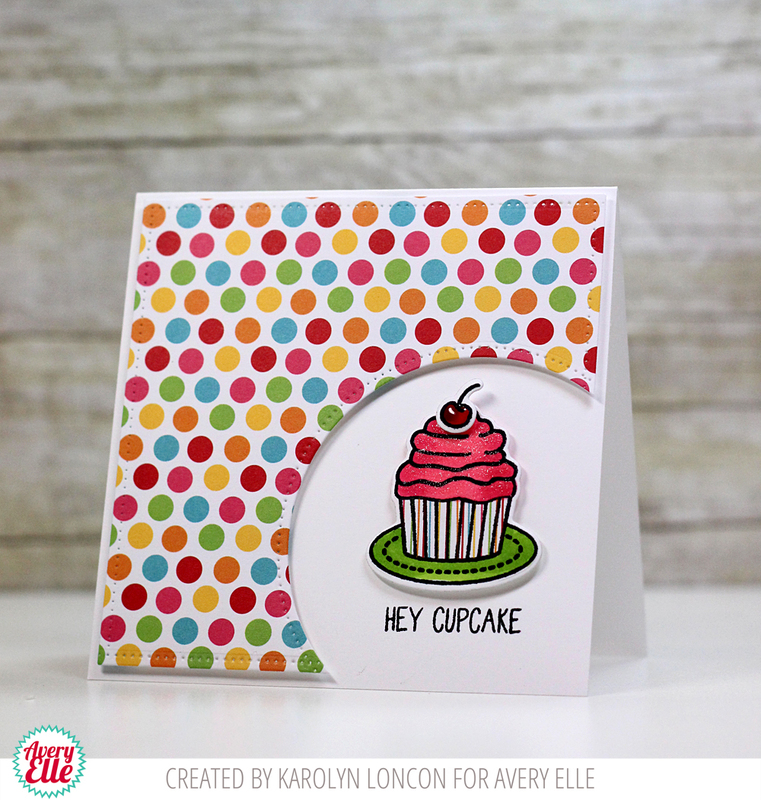 She used our Bring on The Cake stamp set and patterned paper from our Neutral Collection to create this fun layered card. I love the mint, pink and black color combination! Thanks Maska for sharing with us! Thank YOU for stopping by to take a peek. Have a great day! Today I have this great card by Melania to share with you. She shows how striking bold colors are on a black, white and gray background! I love how the balloons take center stage! Those little guys are the cutest! Thanks so much for sharing Melania! Thank YOU for stopping by to take a peek. Have a great day! I have two pretty cards to share with you today. Caryn stamped the images from our Peonies stamp set and a sentiment from our Cake and Candles stamp set to create this first card. I love the say she stamped and embossed the flowers and then used watercolors to shade them. The look is SO soft and beautiful. 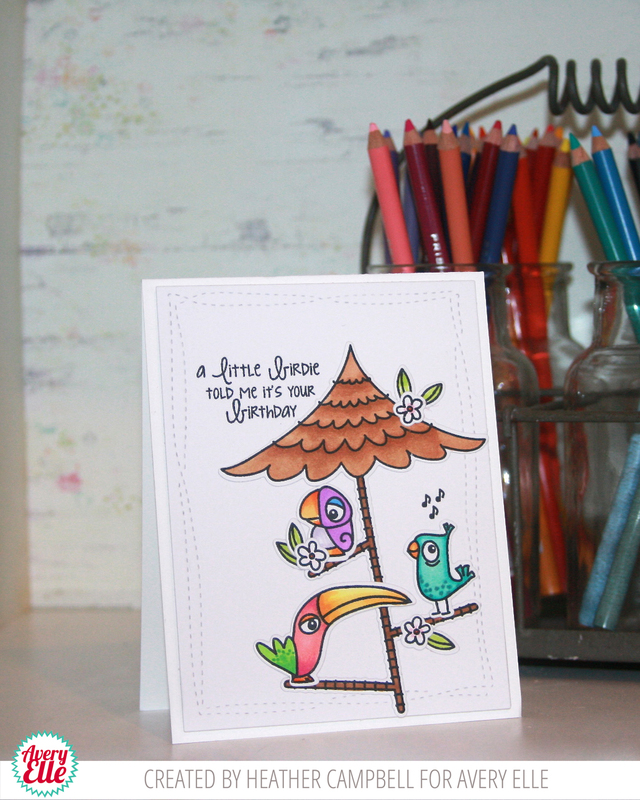 The colors go great with our Caribbean A2 Note Card! I adore this! 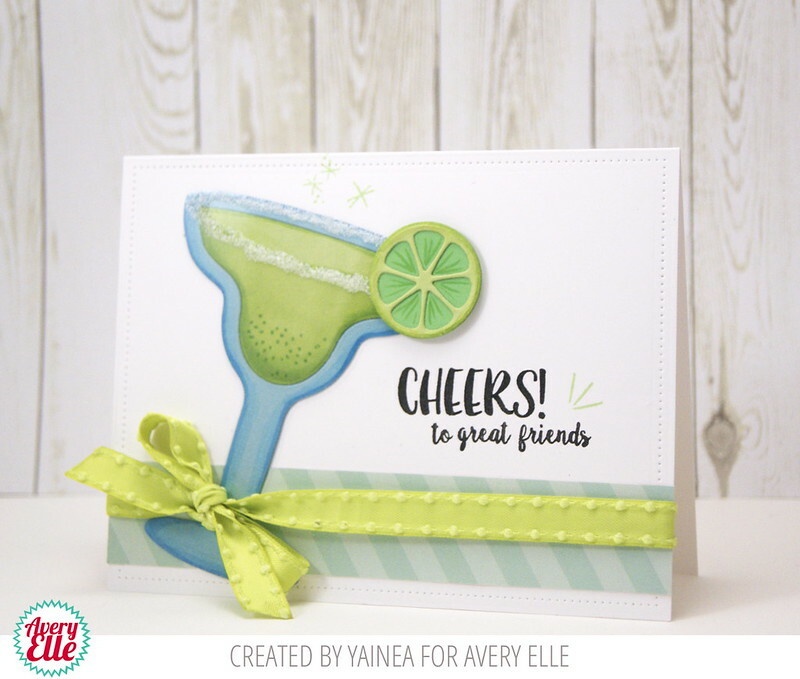 Yainea created this fun and festive card using our Happy Hour stamps, Margarita Shaker dies and patterned paper from our Zen Collection. I love the way she colored and shaded the glass and the lime. It is perfect!! Thanks Caryn and Yainea for sharing with us! Thank YOU for stopping by to take a peek. Have a great day! Happy Friday! 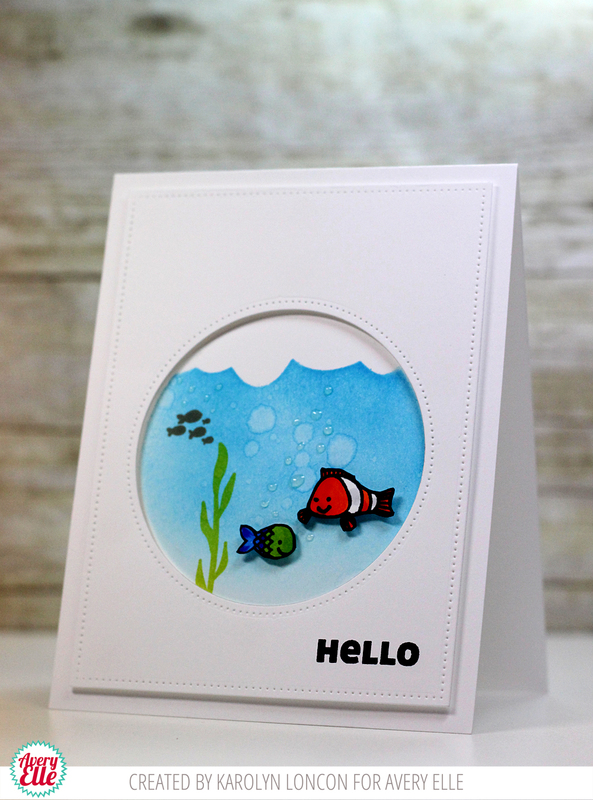 I have two fun cards and an upcoming San Diego, CA Make N Take to share with you today. 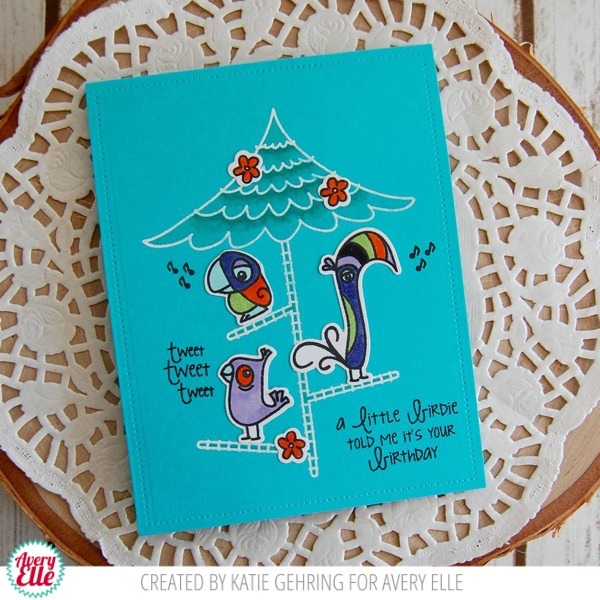 Katie created this first card using our Tweet Tweet stamps, Pierced Rectangle Elle-ments dies and one of our Caribbean note cards. 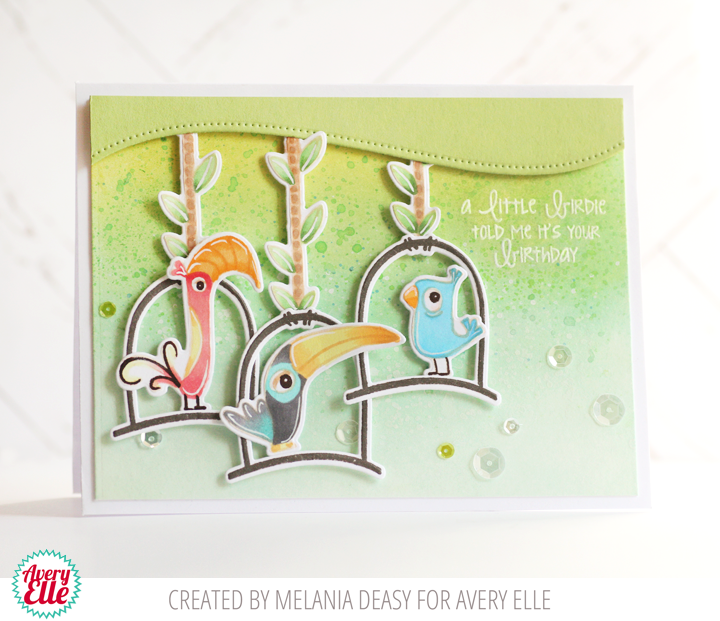 I love the way she embossed the perch in white and the colors she used on the birds. 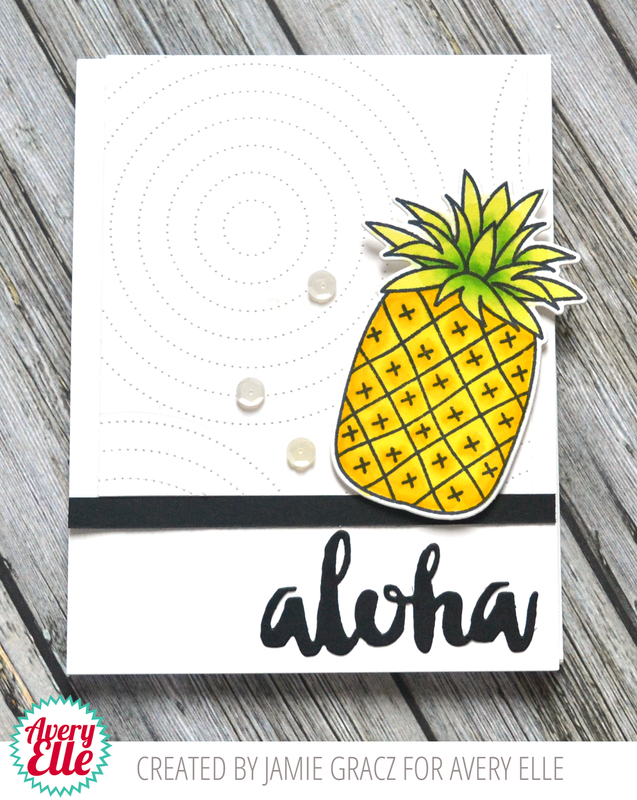 Karolyn used our Petal Panel stamps, Petal Plate Dies, Petal Plate Additions Dies, and our Simply Said: You dies to create this next card. I love the colors and how graphic this is! For those of you in San Diego, CA I will be at Paper Tales on Saturday, July 18th from 1-3pm. We will be creating this fun Make N Take and I would love to craft and chat with you! Stop by if you are in the area! Thanks Katie and Karolyn for the amazing inspiration today! Thank YOU for stopping by to take a peek. Have a great day! Hello! I hope that you all have had a great week so far. I have two cards to share with you today from our fabulous Design Team. JJ created this first card using our Wine Shaker Dies and our Swim Team stamps. By using two of our Double Pierced Circle dies together she created the fun circle frame. I love how she created a shaker "fish bowl" by cutting off the stem of the wine glass. This is such a creative way to use the die set! 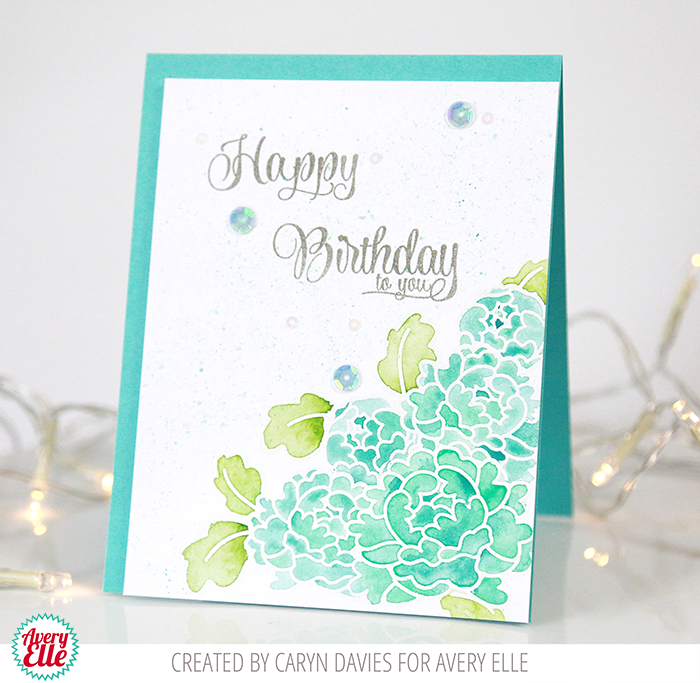 Heather used our Stay Fresh stamps and dies to create this next card. I love the detailing that the Pierced Circle Dies created on the background. This is clean, simple and lovely! #TBT Bottle It Up Inspiration & Giveaway!